ALTHOUGH people age, the child they once were always stays with them. Props maker Johanna Lietz proved this in her two-section exhibit titled Steel and Skin which was on display at Gallery in the Gutter. 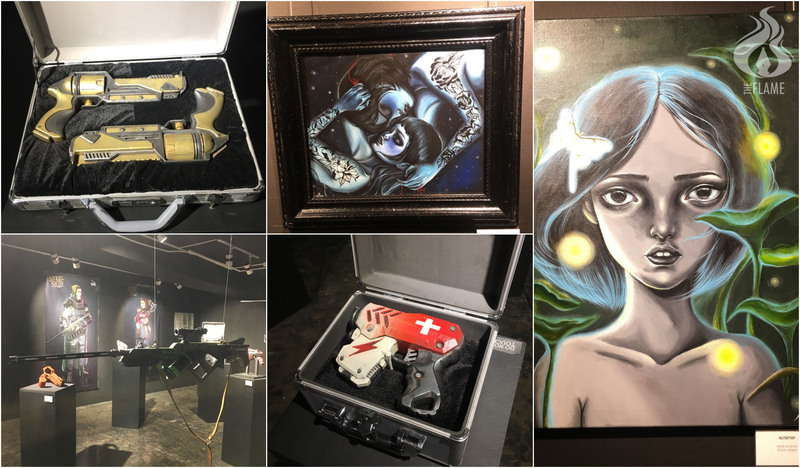 Lietz, along with tattoo artists Sophiya Franchesca and Neil Tanaleon, showed their take on limitless possibilities as adult enthusiasts of cosplay and tattoo art. Children’s fantasies and wild imaginations help them face their greatest fears and become braver; every day, they bring their whimsies to life through endless adventures and fun. 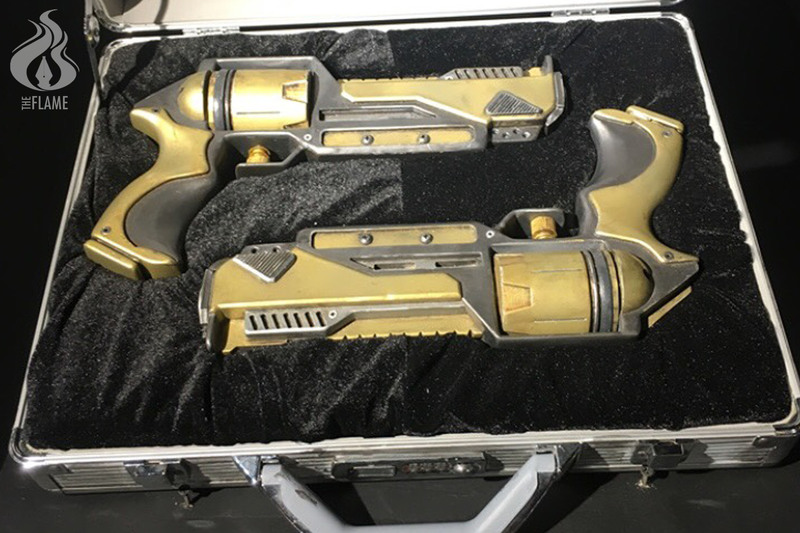 Lietz, who has had an undeniable interest in science fiction and fantasy since she was a child, presented post-apocalyptic handheld weapon props that were inspired by games such as Fallout and Destiny. 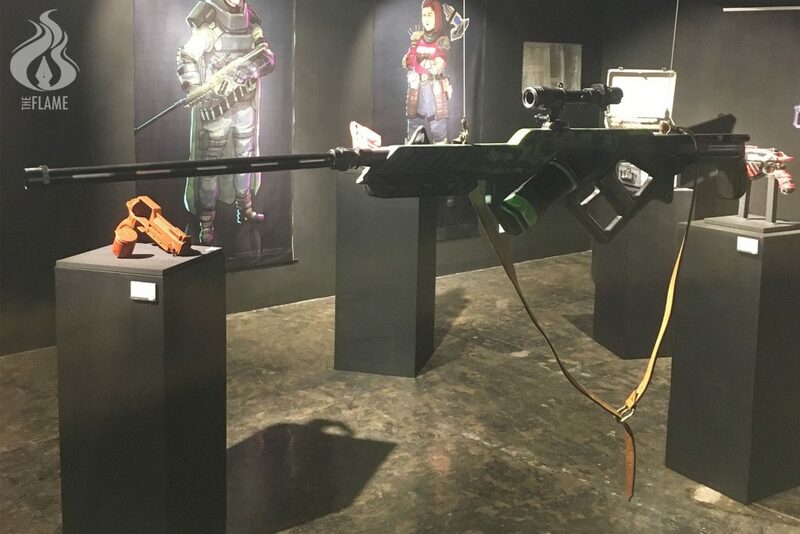 Lietz brought each weapon to life with a specific member of her family in mind, who serves as the physical connection to her other world. These weapons were assigned to each relative based on their respective personalities in real life. One weapon named Sleep Sniper Rifle is assigned to her father with the role of a support sniper. 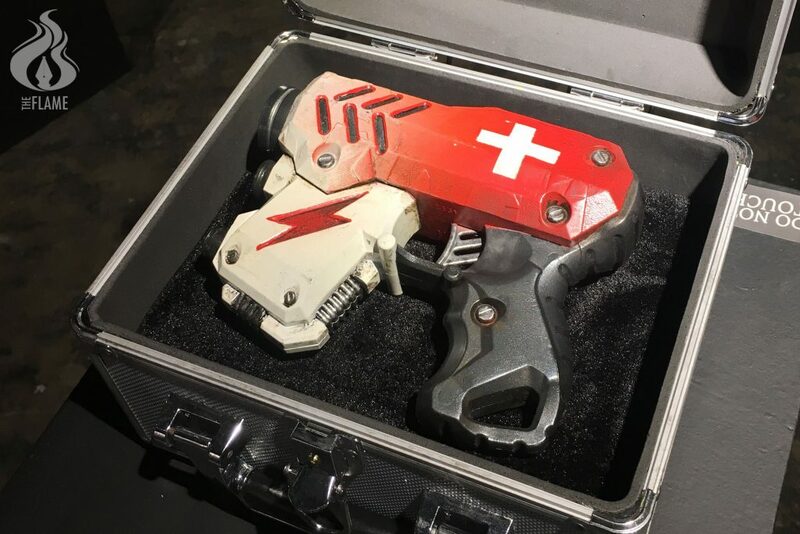 Another weapon is Med Zapper, especially made for the warrior or bruiser of the family who is her mother. As for her brother whose role is the ranged assassin, she made a weapon named Twin Blaster Revolvers. In making these pieces, Lietz used various techniques like kitbashing, laser cutting, molding and casting, and 3D printing. These weapons give the viewers a peek into the fantasy world she built during her childhood. In her imaginary world, she was born and raised as a warrior and she and her family fight to survive daily. Other works in the exhibit were Franchesca’s artworks. Her pieces are distinguished by their muted shades and neon silhouettes. Franchesca’s acrylic-based artworks focused on beauty shots of women giving off gothic and feminine vibes. It is said that every person has a soulmate. This leads some to search for the one who is destined to be their partner. In Franchesca’s Red Thread, the concept of soulmates is explored. 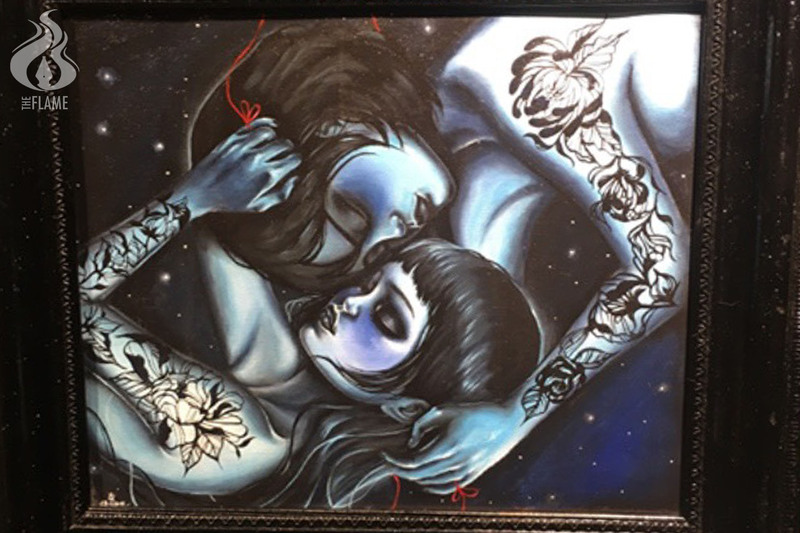 The piece shows two people who can stay true to each other even in times of fragility. Another work by Franchesca is Alitaptap (Firefly). 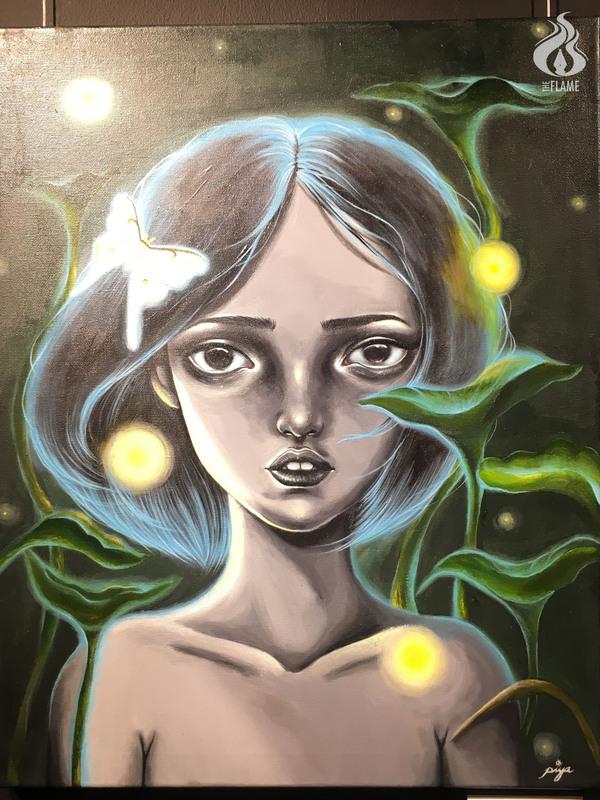 This piece shows how a woman’s existence alone is beautiful enough to let her shine. It also highlights the sense of wonder one can find after pondering upon the complexities and beauty of the world. The small specks of light coming from the fireflies remind viewers to see the beauty that continually surrounds them.